Meg Sweeney, Associate Professor of English and Afroamerican and African Studies at the University of Michigan, has authored a new book! 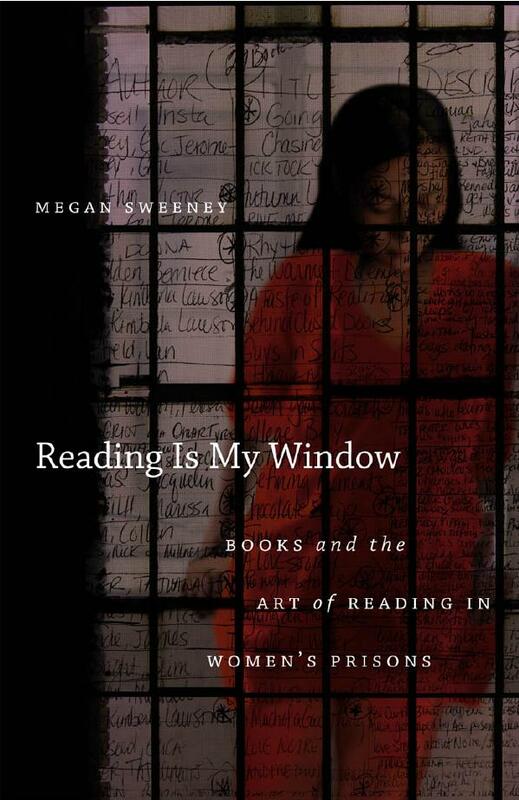 Reading Is My Window is about incarcerated women’s reading practices. The book is available from the University of North Carolina Press. Drawing on extensive individual interviews and group discussions with ninety-four women imprisoned in Ohio, North Carolina, and Pennsylvania, Reading Is My Window explores how women prisoners use the limited reading materials available to them to come to terms with their pasts, negotiate their present challenges, and reach toward different futures. The book offers the first analysis of incarcerated women’s reading practices, and it foregrounds the voices and experiences of African American women, one of the fastest growing yet least acknowledged populations in U.S. prisons. Reading Is My Window situates contemporary prisoners’ reading practices in relation to the history of reading and education in U.S. penal contexts, explores the material dimensions of women’s reading practices, and analyzes the modes of reading that women adopt when engaging with three highly popular genres (narratives of victimization, African American urban fiction, and self-help and inspirational books). The book also discusses the many kinds of encounters fostered by book discussions in prisons, and it offers detailed portraits of two imprisoned readers, each of which weaves together the woman’s life narrative and her own description of her reading practices. Click here to read a review of Reading Is My Window by Alyssa Vincent for Feminist Review.